According to the statistics published by Mueller and Lamprecht in 2011, the most common type of endgame is exactly rook vs. rook endgame (8.45% in all games played), while endgames involving at least one rook appear in approximately 37% of all games played. So, when you sit at the board, there is more than one in three chance that you will play a rook endgame on that day! I do not think that we need to give further reasons why it is important to have a good understanding of rook’s capabilities in the endgame. In this article, GM Mihail Marin deals with the closed French positions. The ability to play well in closed positions is crucial for everyone who aims at mastering the positional play. That is the reason why this survey is not limited to the French players. 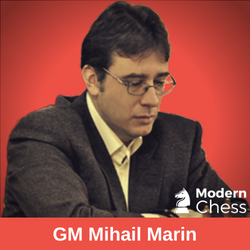 We believe that the explanations of Mihail Marin will contribute to your general chess understanding. On the diagram below, you can see the most thematic French structure. Despite the large variety of plans for both sides, one structure is by far the most typical one for the French Defence: The blocked center, arising after White's e4-e5 at an early stage of the game. Philidor's principle "Pawns are the soul of chess" applies in this type of position better than anywhere else, as the structure defines both sides' plans rather clearly. On a most basic level, Black should attack the queenside, starting with ...c7-c5 and ...Nc6, followed by either increasing the pressure on d4 with ...Qb6 or a massive pawn attack with ...c5-c4, ...b7-b5-b4 and so on. There are lines in which White cannot consolidate his d4-pawn with c2-c3 due to his knight standing on c3 when the exchange of the d4- and c5-pawns could lead to a white blockade on d4, but also to the activation of Black’s d7-knight with ...Nc5-e4. Due to his space advantage there, White's main chances lie on the kingside. He can prepare a piece attack by regrouping, for instance with Nf3, Bd3, Nf4 and possibly Qg4, or launch a pawn offensive with f2-f4, g2-g4, f4-f5. Strategically the latter plan looks more consistent, but if Black manages to slow down the pawns' advance with ...h7-h5, Nf5 and possibly ...g7-g6, White's minor pieces will find themselves restricted by the f4-pawn. But that's not all to it. Both players can also display ambitions on the respective other side of the board, especially in positions with white short castle and black long castle. White has the options to meet ...c7-c5 with c2-c4 or ...c5-c4 with b2-b3. Black, on the other hand, can question White's space advantage with ...f7-f6/f5 (this plan is popular irrespective of the kings' placement), and also consider a kingside counterattack with ...g7-g5-g4, ...h7-h5 and so on. For this article, I have mainly chosen games featuring lines from the repertoire displayed in the theoretical databases. For instance, it would be of little practical use to include games from main lines like 3.Nc3 Bb4 4.e5 c5 5.a3 Bxc3+ 6.bxc3 or 3...Nf6, as both have certain particularities not to be found in this repertoire. Whenever playing this type of structure, I have a unique feeling about the depth of chess in general. Simply mentioning the main ideas above creates an image of complexity, as both sides have countless possibilities of combining attack with defense in the process of developing their plans. "Shall I evacuate the king from the center with ...0-0-0 or first defend g5 with ...h7-h6?" 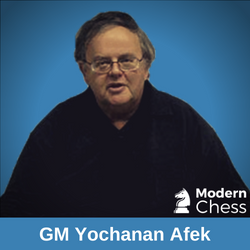 is the type of question arising virtually on every step in the late opening and early middlegame. It really feels like the "good old times" without computers and deep theory, when players would think independently move by move, without achieving absolute certainty about the correctness of their decisions. The main theme of this article will be precisely this psychological aspect, while the typical maneuvers will be explained individually. In order to illustrate the abovementioned ideas, Marin provides 7 extensively annotated games. In November 2018, Quality Chess published Afek's wonderful book Practical Chess Beauty In this book, you can find a number of beautiful examples taken from the author's own practice as well as a variety of his endgame studies. Inspired by the instructive value of his studies, we asked him to write an article dedicated to this subject. Solving endgame studies is recommended by the world's leading trainers as the best method to improve one's creativity and endgame understanding as well as to polish one's tactical and calculative skills and to sense the full energy of the pieces. 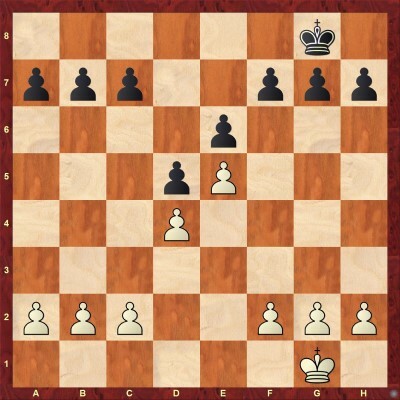 Let's take for example a frequent guest in chess practice - rook endings. They are often regarded as rather technical and lacking brilliance. At the same time they are the most common type of endings thus they require a certain amount of knowledge and not always of the most exciting nature. 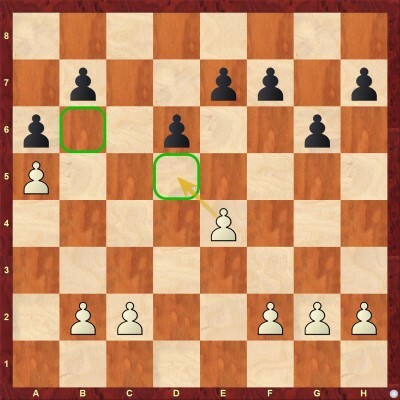 Nevertheless, Chess composition proves time and again that rook endings might appear, contrary to their image, highly tactical and even most enjoyable! The article consists of 4 annotated examples and 22 studies which are presented in the form of a test. In the Answers Section, you will find detailed annotations of the exercises. You can try to solve one of the positions even now. We present it below as a teaser. 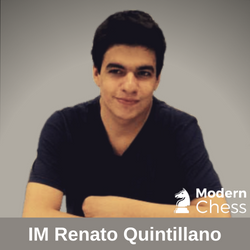 In this article, the Brazilian IM Renato Quintillano starts dealing with the Najdorf Structures. In particular, the survey features the structures arising out of White's positional systems against the Najdorf. This structure arises in the variation 6.a4 g6!? as White usually plays a4-a5 at some point, cramping Black's queenside. One common idea for White is to play Nd5. In this case, after Bxd5 exd5, he can put pressure along the e-file. Black should keep the knights on the board, as the squares c5 and e5 are very stable posts. The best scenario for Black is leaving White with the light-squared bishop, as this bishop is his worse minor piece. In the same way, Quintillano covers 8 important pawn structures. In this article, GM Boris Avrukh presents the latest developments in the currently topical Caro-Kann Defence. 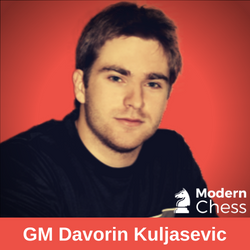 This survey is mainly based on the games played at the Chess Olympiad in Batumi this year. Of course, this article is not limited to the pure presentation of the games from Batumi. 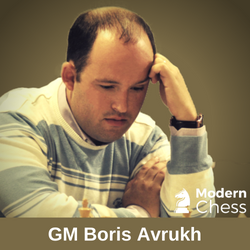 In a number of positions, GM Boris Avrukh comes up with new ideas which may be useful for you. Below, you can find the latest developments in the Two Knight Variation.